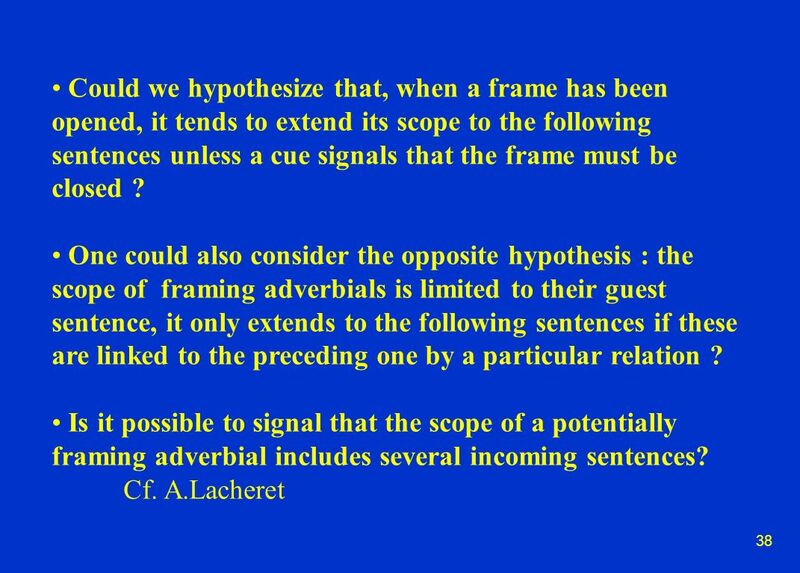 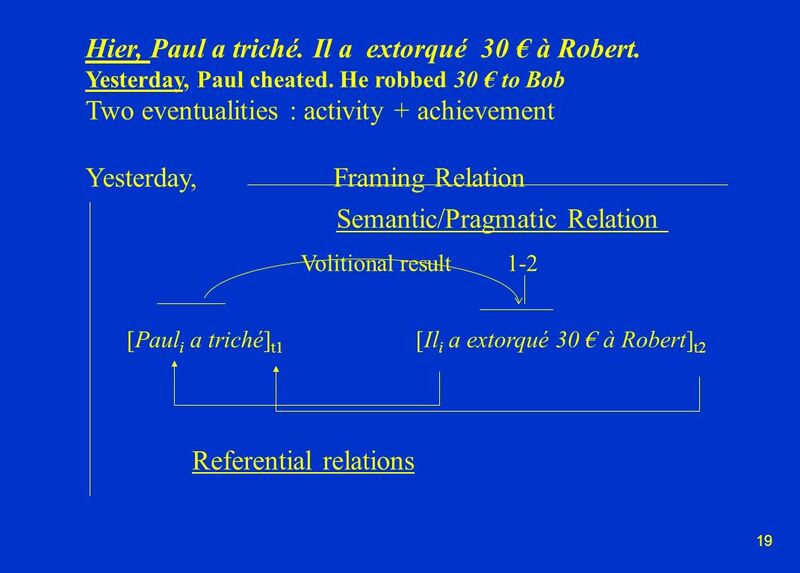 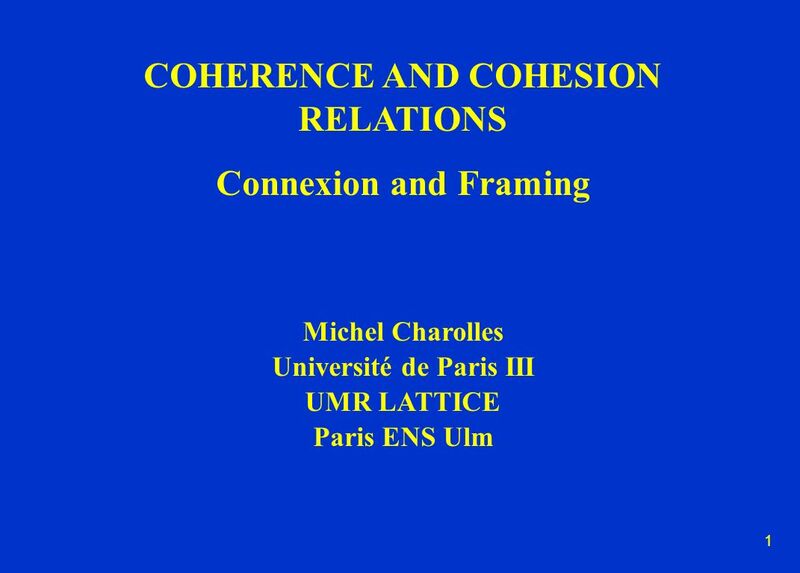 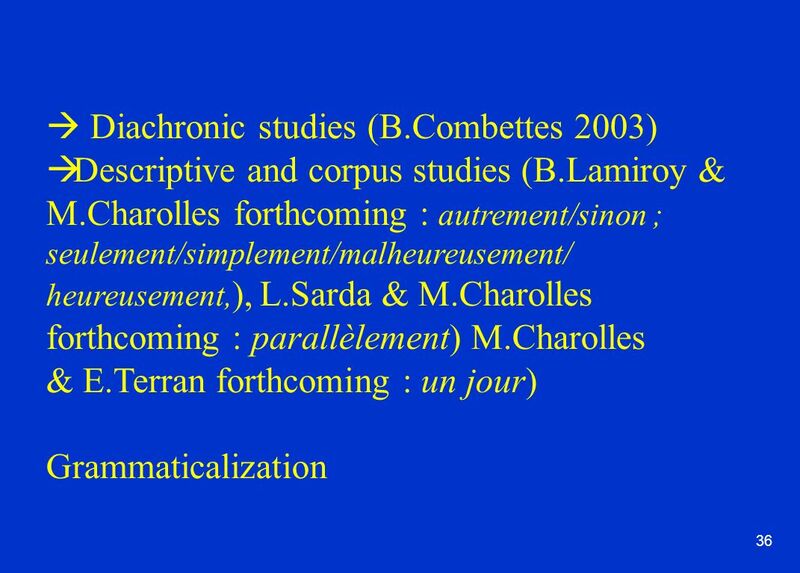 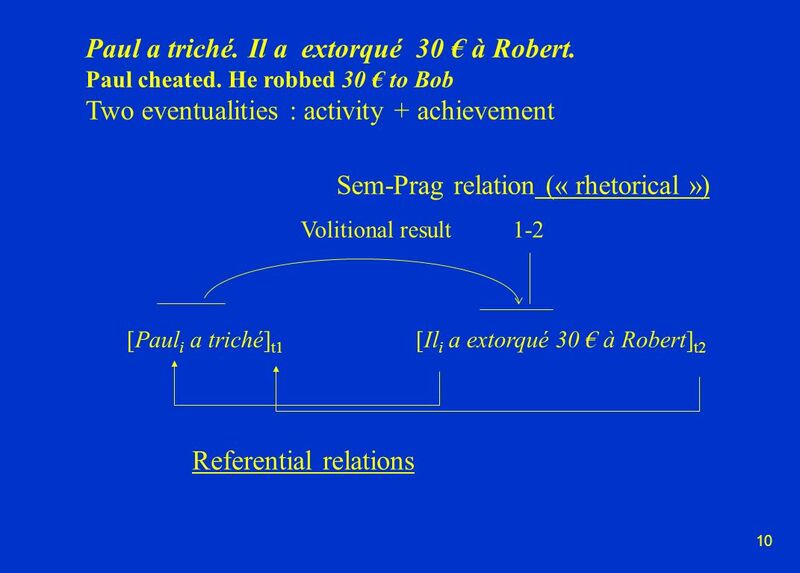 1 COHERENCE AND COHESION RELATIONS Connexion and Framing Michel Charolles Université de Paris III UMR LATTICE Paris ENS Ulm. 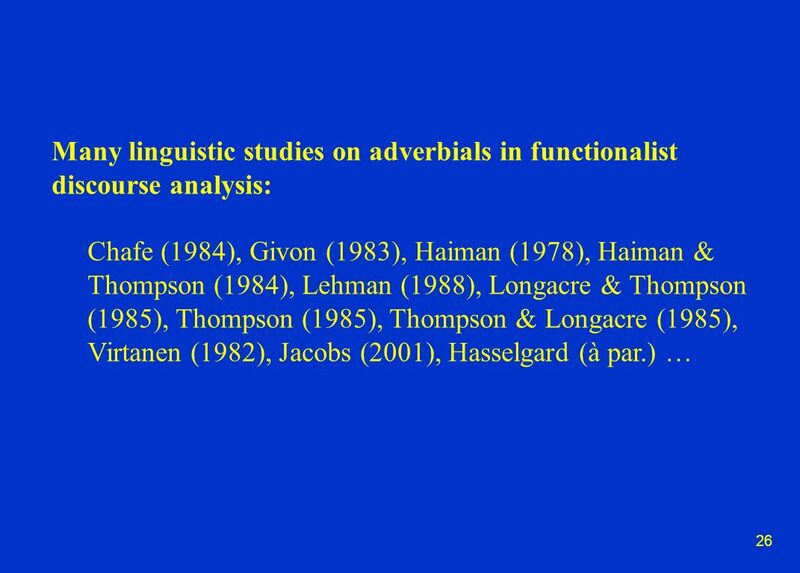 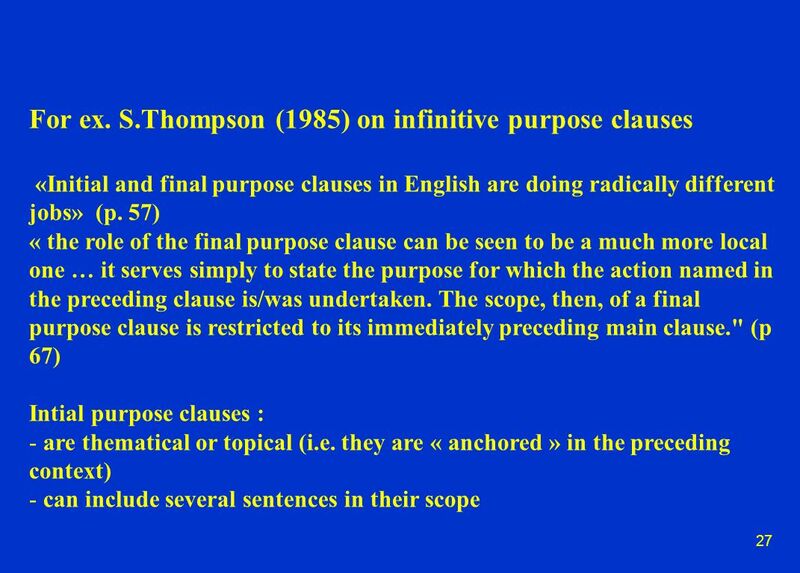 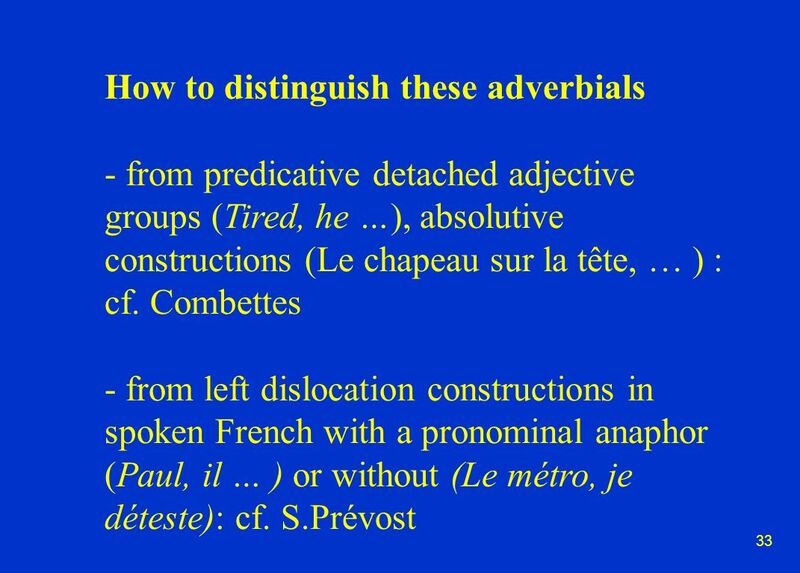 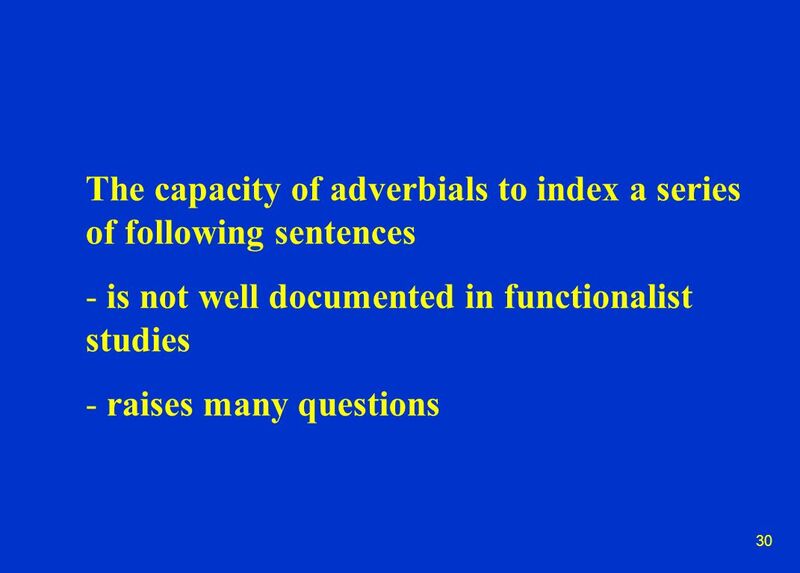 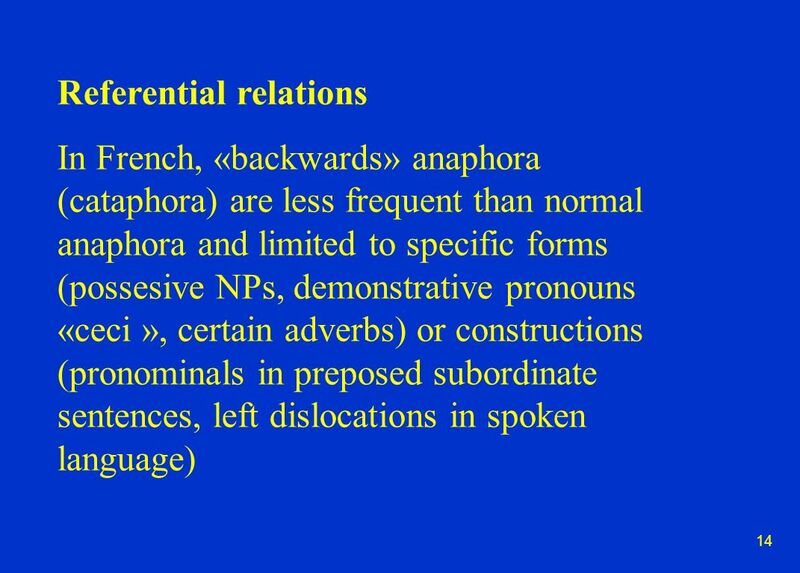 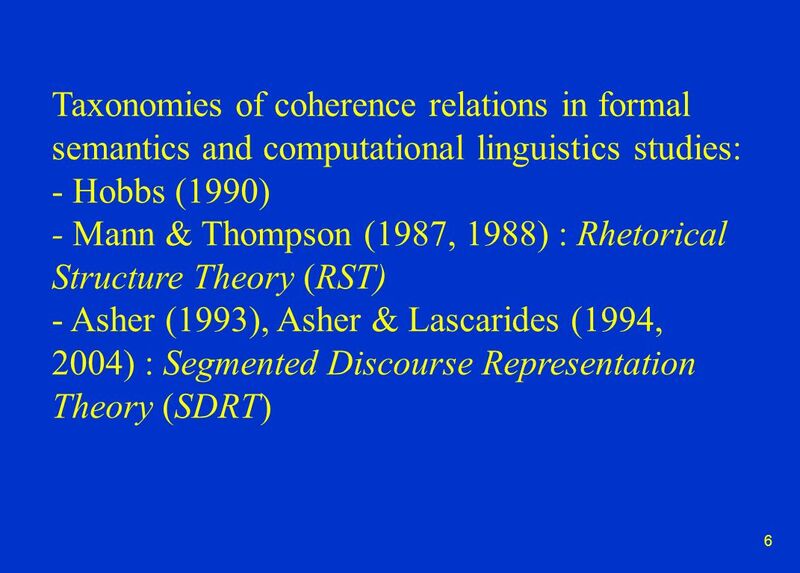 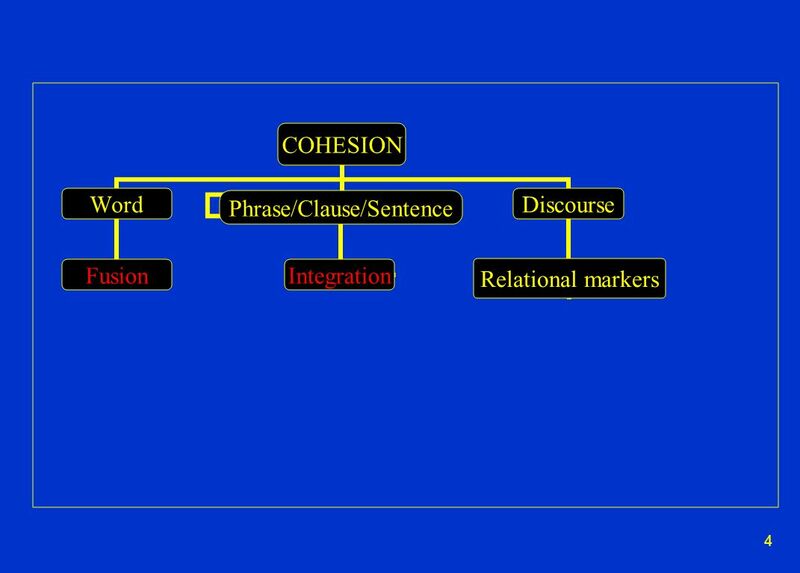 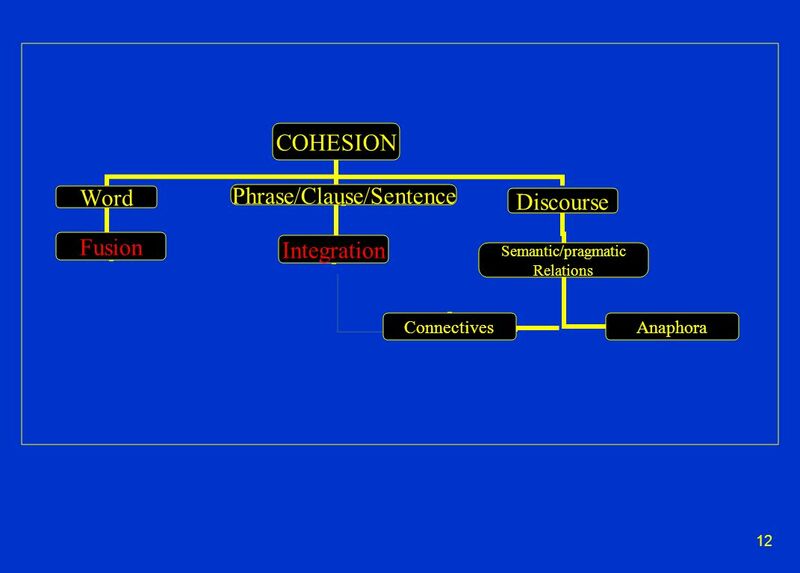 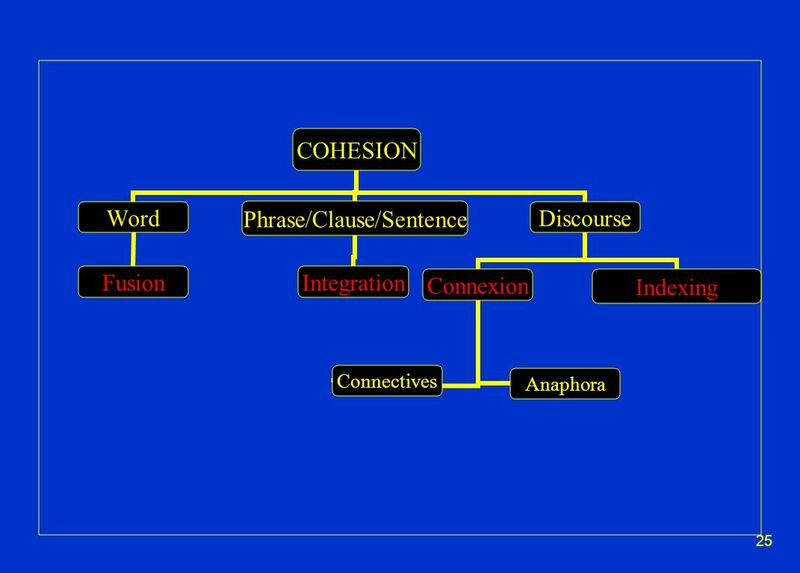 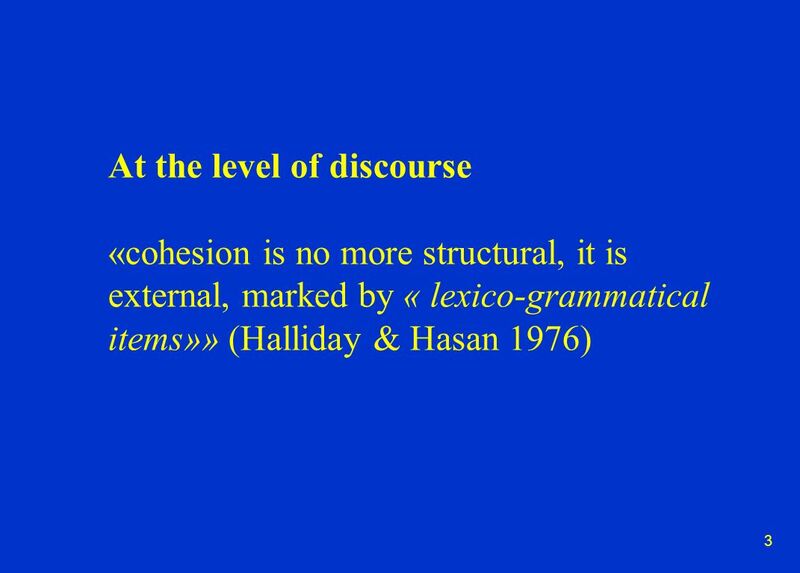 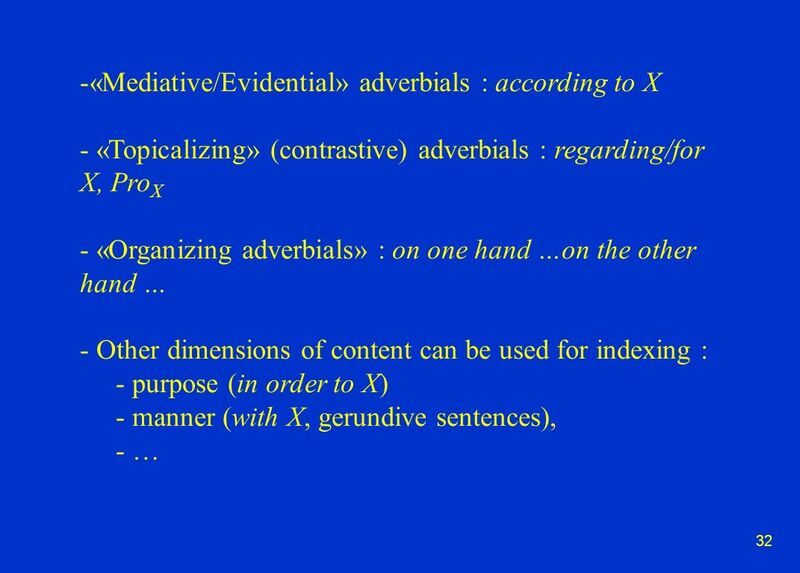 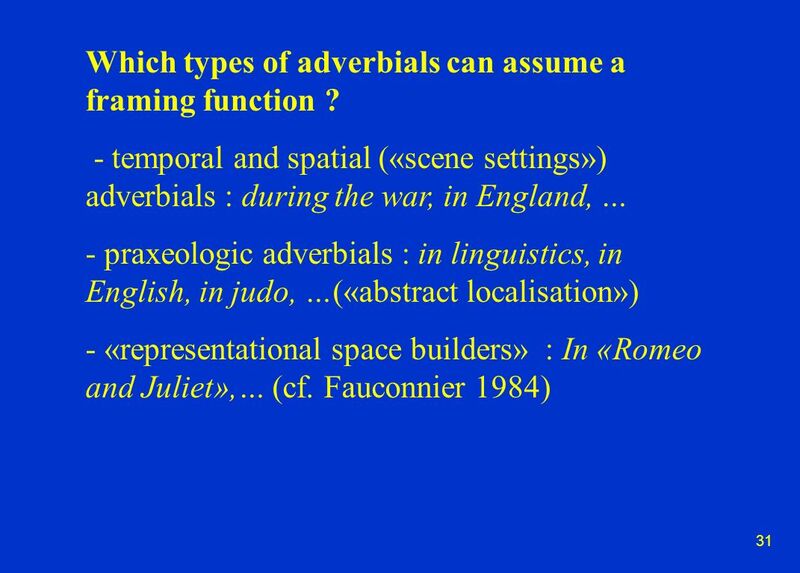 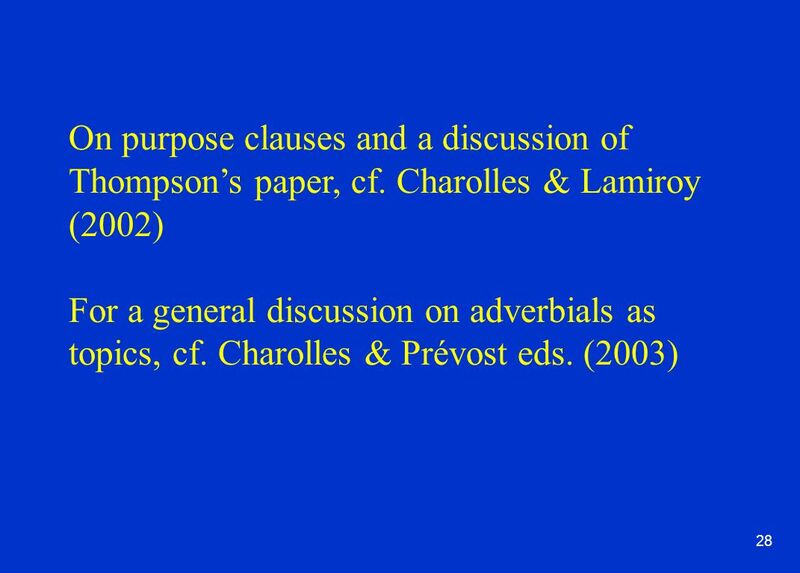 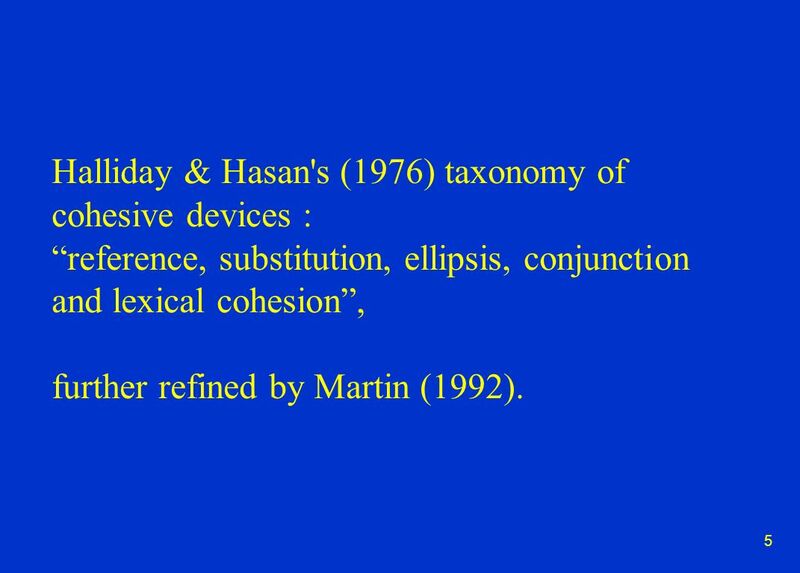 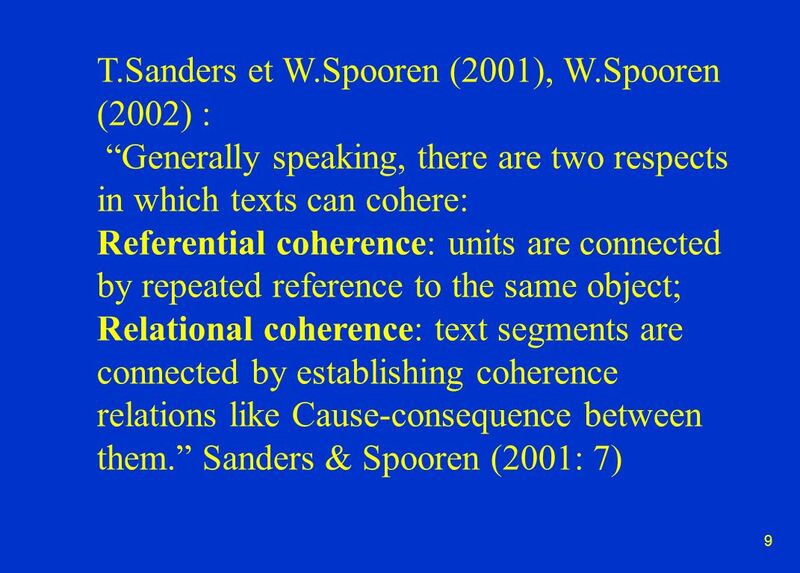 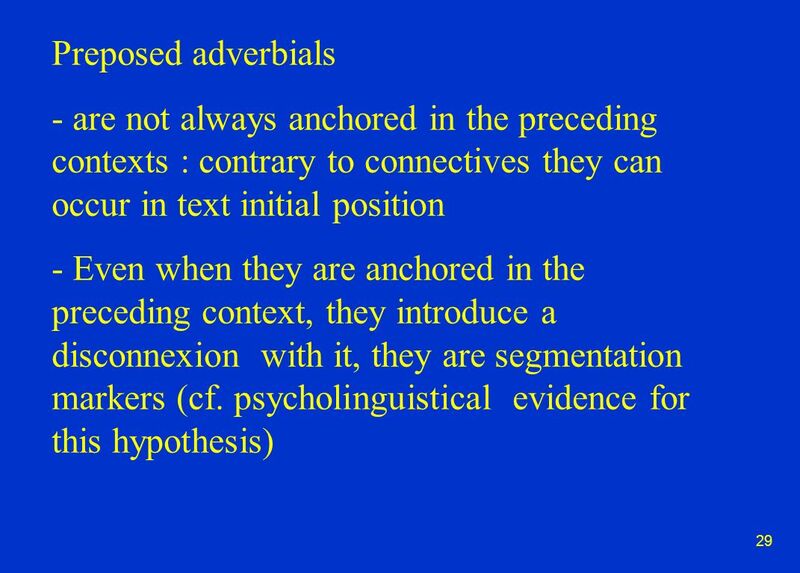 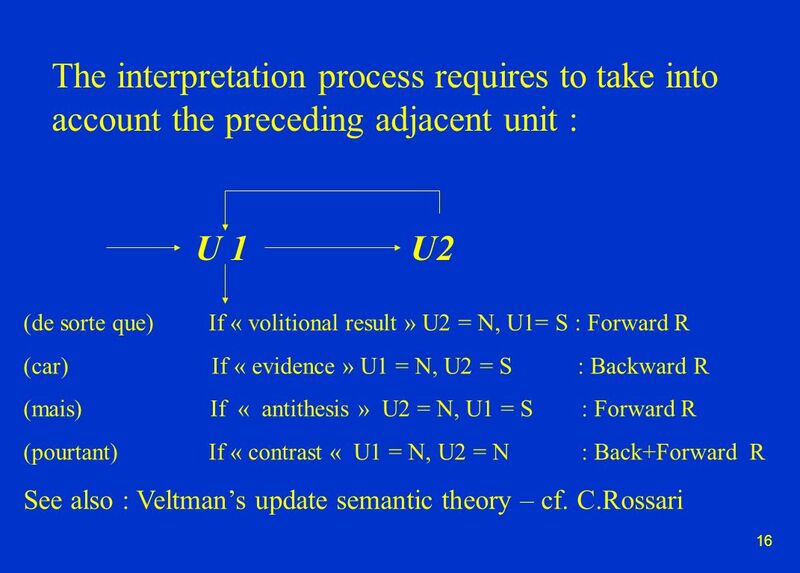 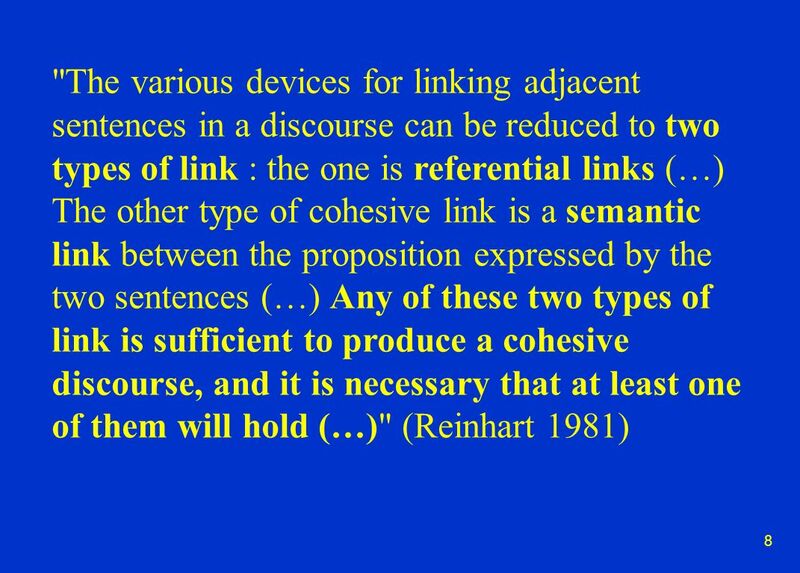 5 5 Halliday & Hasan's (1976) taxonomy of cohesive devices : reference, substitution, ellipsis, conjunction and lexical cohesion, further refined by Martin (1992). 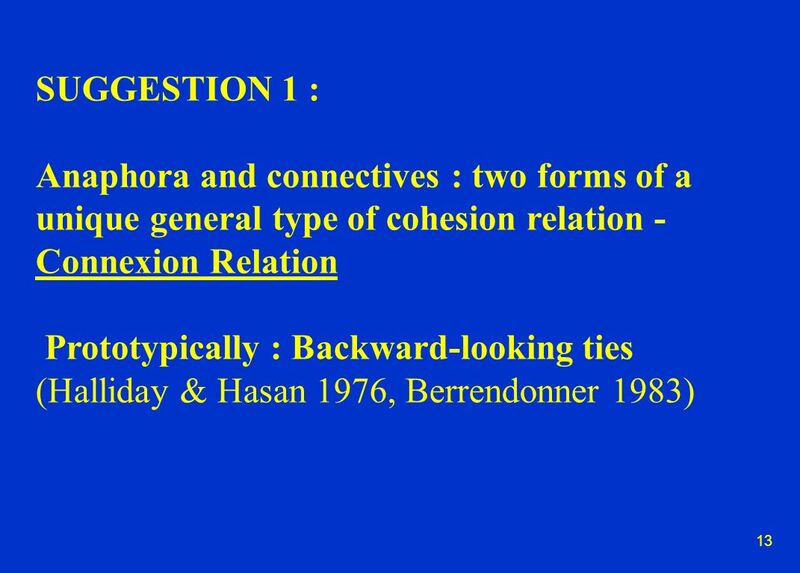 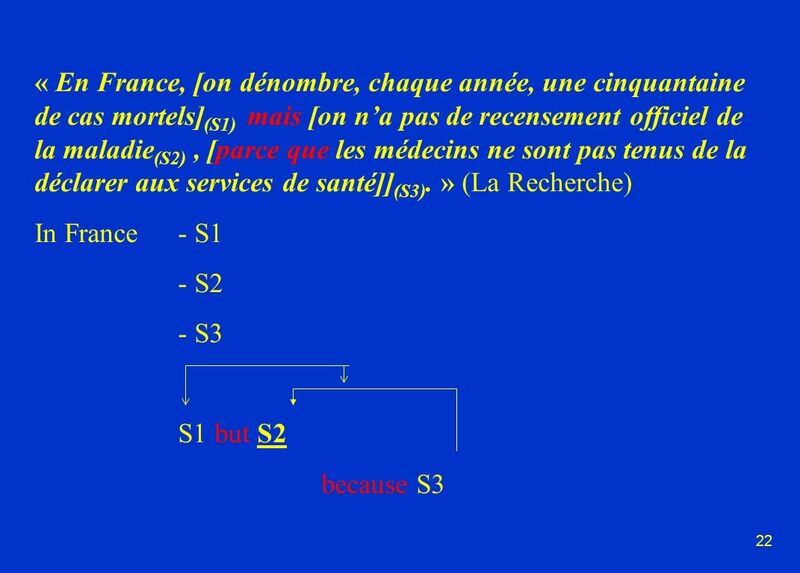 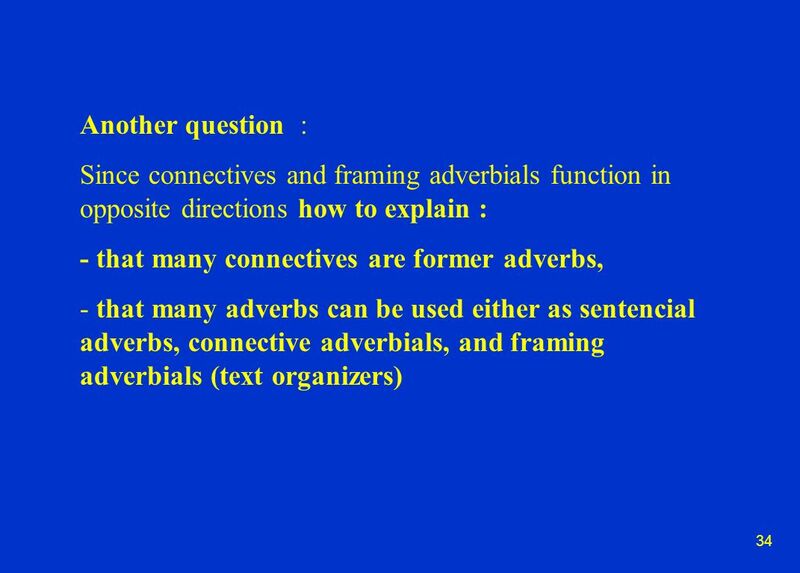 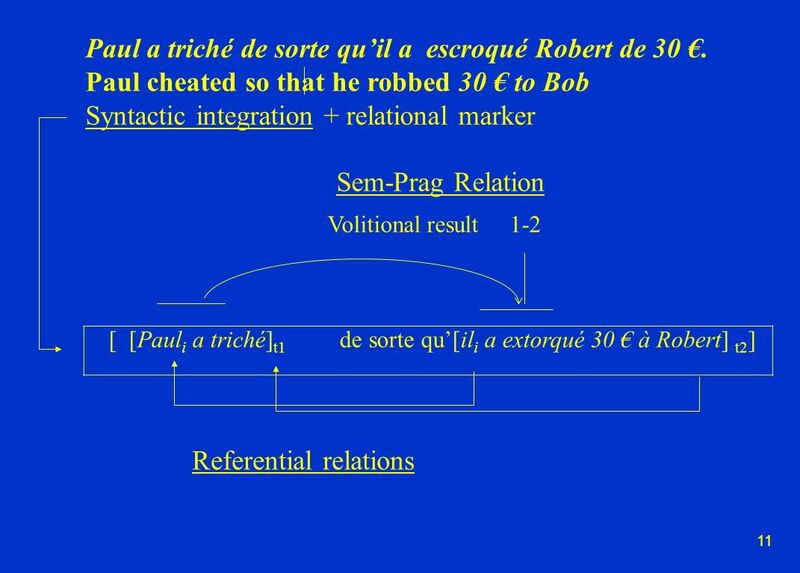 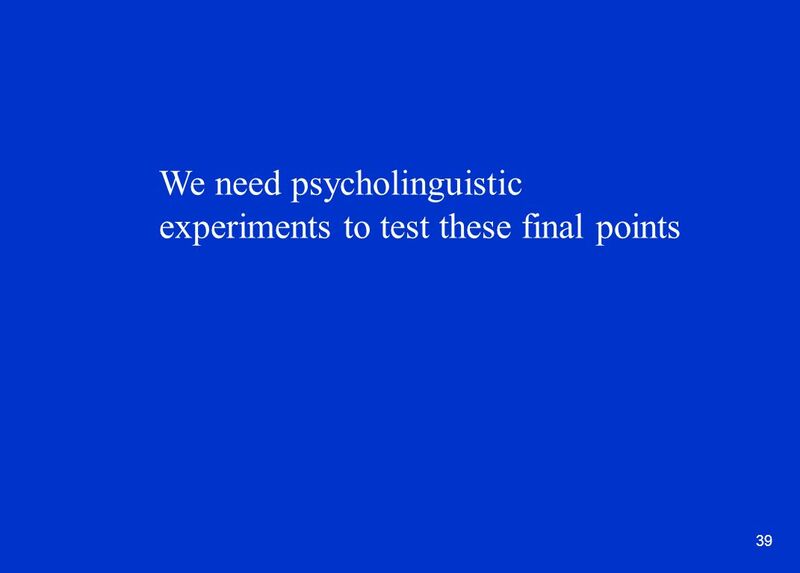 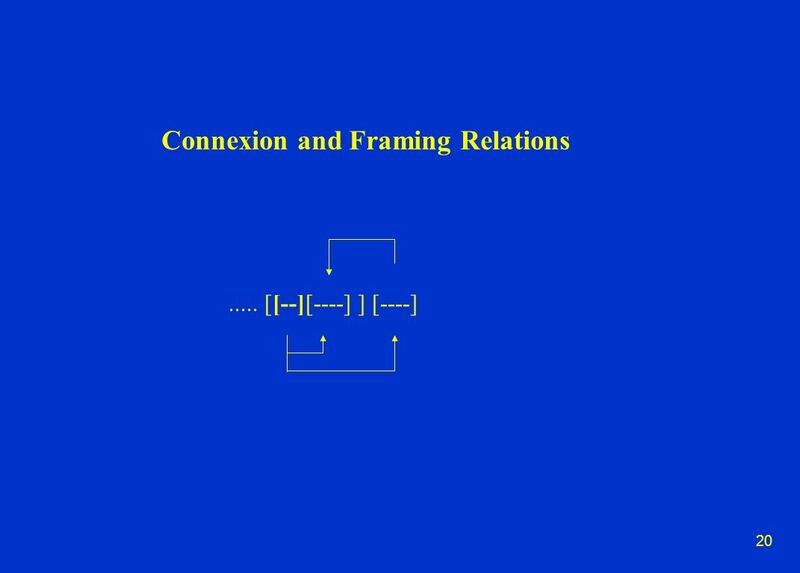 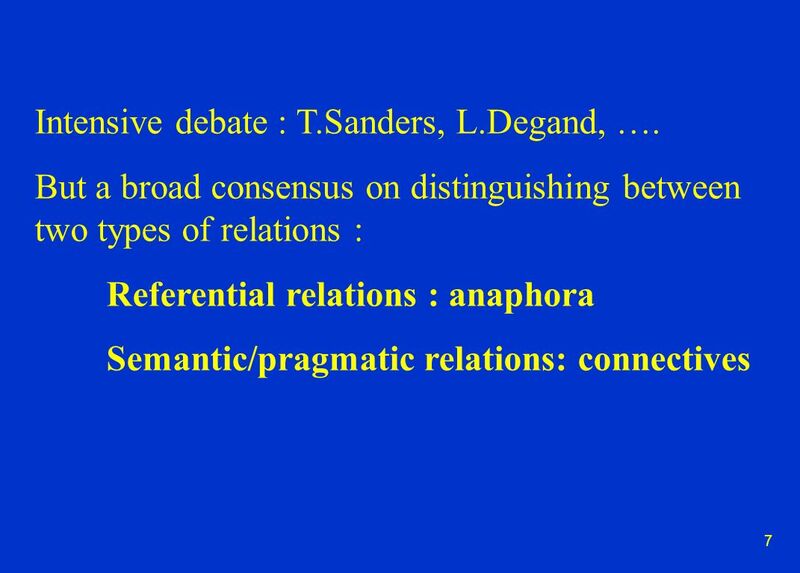 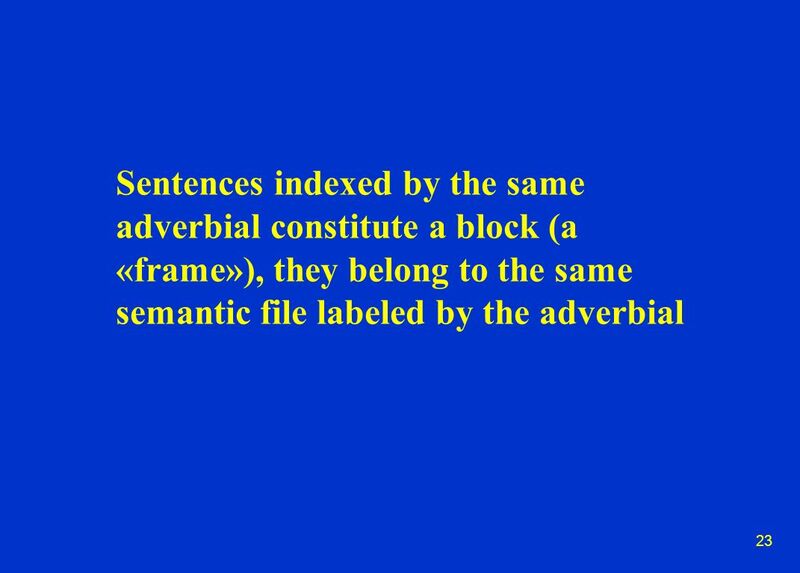 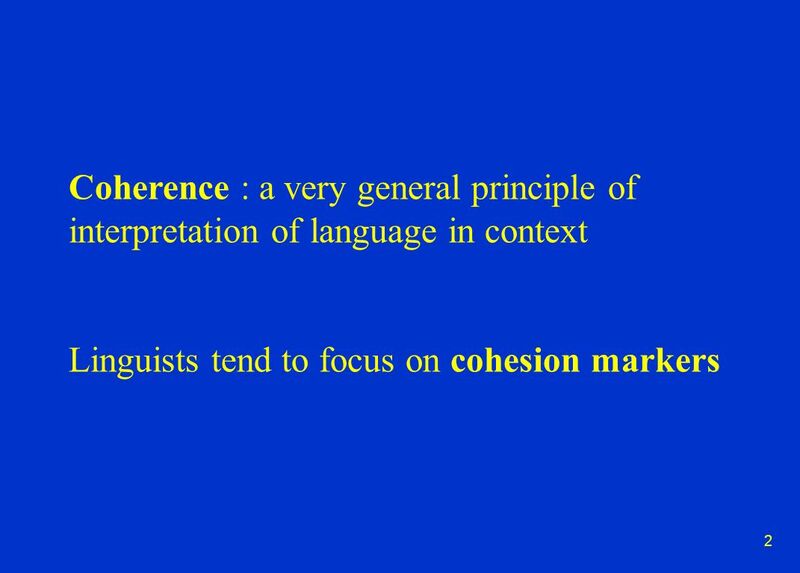 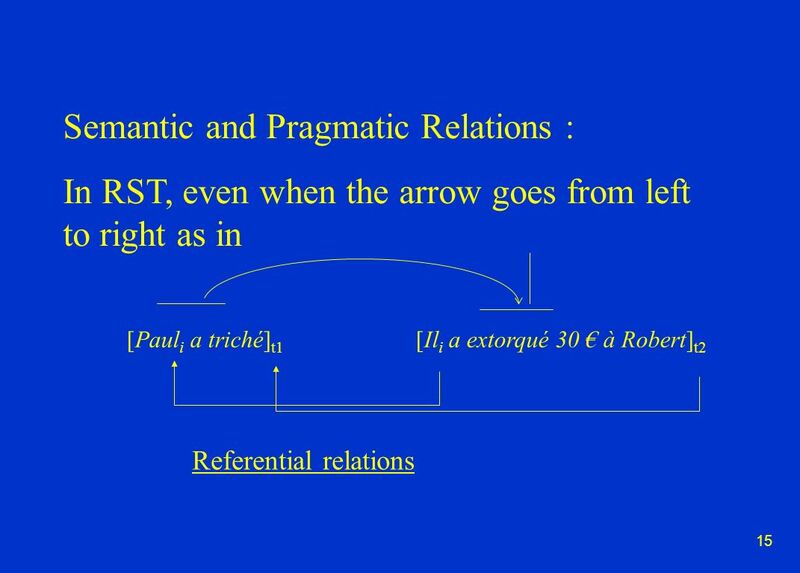 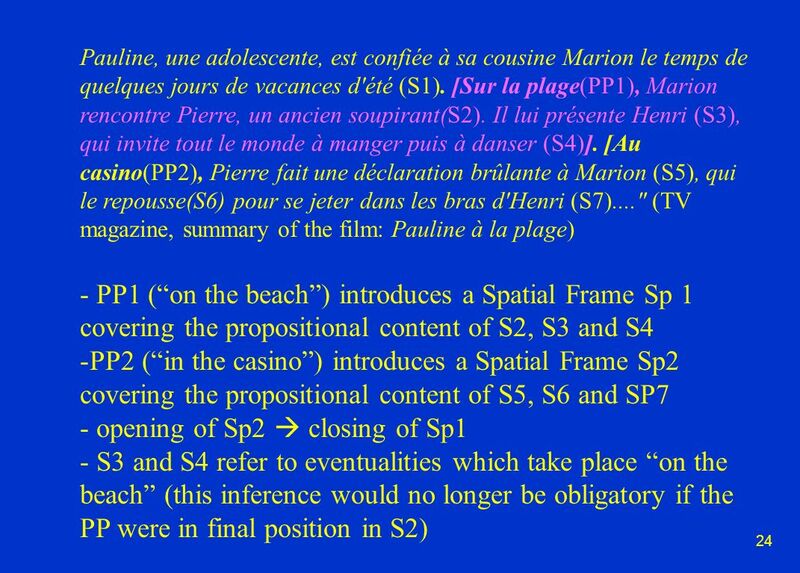 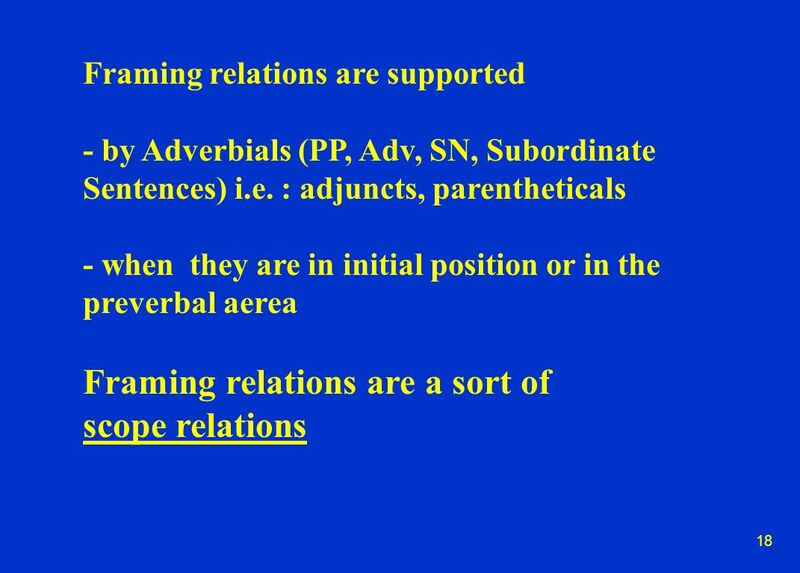 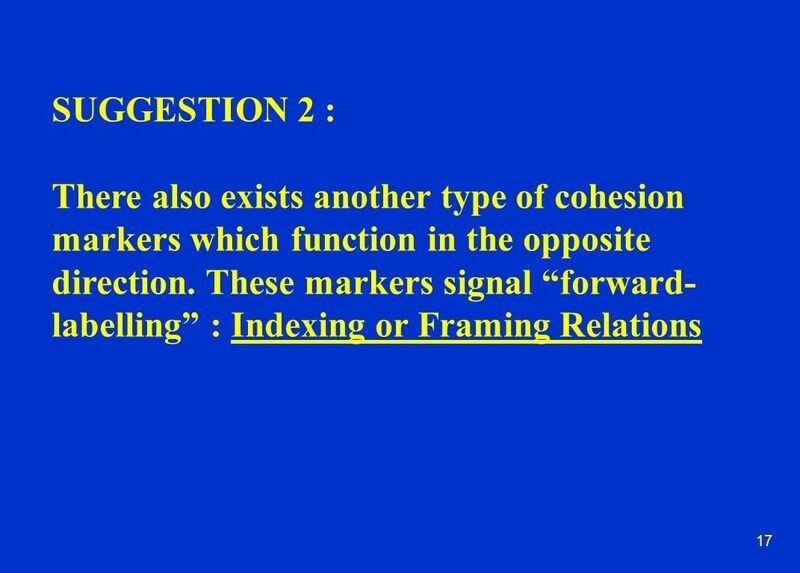 Download ppt "1 COHERENCE AND COHESION RELATIONS Connexion and Framing Michel Charolles Université de Paris III UMR LATTICE Paris ENS Ulm." 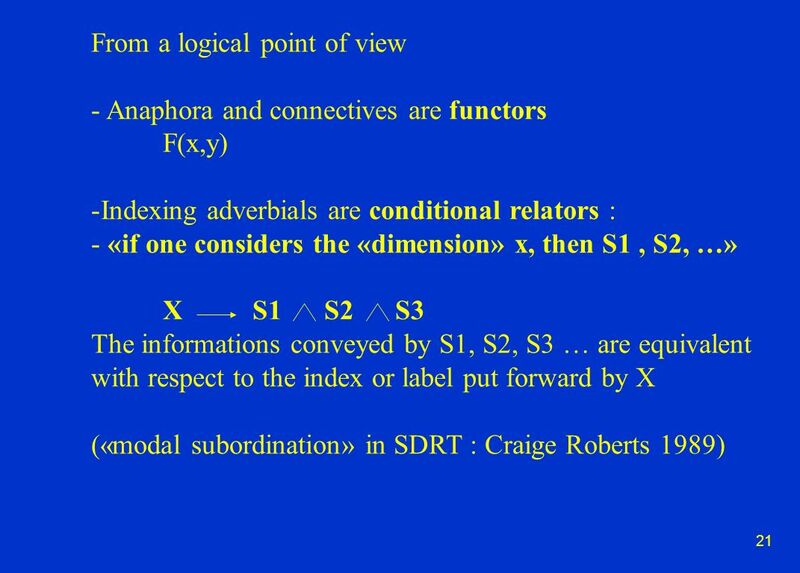 Sugar 2.0 Formal Specification Language D ana F isman 1,2 Cindy Eisner 1 1 IBM Haifa Research Laboratory 1 IBM Haifa Research Laboratory 2 Weizmann Institute.